Holland America Line has announced that it will have five ships and 30 cruises transiting the lakes and locks of the Panama Canal in 2019. This includes full transits of the Canal, as well as ‘Sunfarer’ itineraries that feature a partial transit in combination with southern Caribbean ports of call. 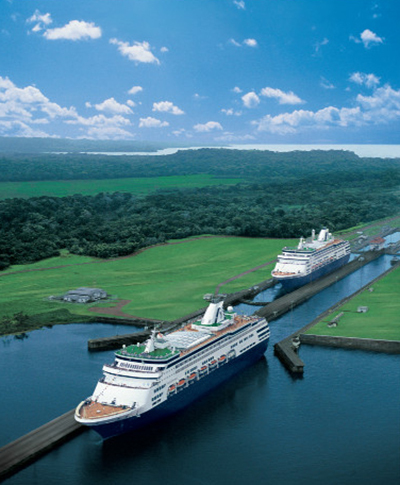 Anticipating another robust Panama Canal season, the cruise line is “looking to build on the success of its previous season” when it carried 40,500 guests through the famous canal. In 2019, full transits will range from 14 to 23 days with 10- or 11-day partial explorations. From JAN-DEC 2019, Amsterdam, Nieuw Amsterdam, Eurodam, Oosterdam, Rotterdam and Volendam will make 17 transits between the Atlantic and Pacific Oceans from four departure cities. Guests can sail to or from Fort Lauderdale, Los Angeles, San Diego, San Francisco, or Vancouver. On full transits, guests will visit cities in Colombia, Costa Rica, Guatemala, Mexico, Nicaragua and islands in the Caribbean. In addition, some of the sailings include a visit to Half Moon Cay, Holland America’s private island in the Bahamas. In addition to the full transits, Zuiderdam and Eurodam will make 13 partial transits between JAN and DEC 2019. Cruising roundtrip from Fort Lauderdale, the 10- and 11-day Panama Canal Sunfarer itineraries include an exploration of the Canal’s Gatún Lake with a combination of southern Caribbean calls in Aruba, Curaçao, Colombia, Costa Rica, Panama and Half Moon Cay. Full Panama Canal transit cruise fares start at US$1,329 and Sunfarer cruise rates start at US$949, all per person, double occupancy. Several Panama Canal sailings are eligible for Holland America’s Explore4 promotion when clients book by 19NOV, 2018. This includes special value-added extras such as complimentary beverage packages, free or reduced cruise fares, reduced deposits and more.